Can the bark of this tree make your skin look younger? My neighbor has the most gorgeous weeping willow in her front yard. I have always loved these remarkable trees, so I'm glad I get to live so close to one. These trees are extraordinary not only because they are beautiful, but because their bark contains a potent ingredient: salicylic acid. You may recognize this as an ingredient in aspirin. Long before aspirin was created, people used willow bark to reduce inflammation associated with fever and pain by chewing the bark, turning it into tea, or adding it to warm baths. But not only can willow trees help us feel better and give us something beautiful to look at, they can actually make us more beautiful as well. Several recent studies have demonstrated that willow bark can improve the appearance of the skin, making it look smoother, firmer, clearer — in all, younger. In 2010, a study found that a serum product containing 0.5% salicin significantly improved wrinkles, roughness, pore size, radiance, and overall appearance after just one week for the participants who tried it. By week four, they were also seeing improvements in hyperpigmentation, firmness, and jawline contour. 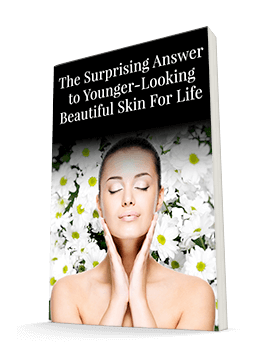 In 2011, another study helped explain why this might be happening: applying salicin seems to help activate the genes that help keep skin looking young, while decreasing the expression of those that age the skin. Willow bark is a great anti-inflammatory, and as you probably know, inflammation contributes to many skin issues, from acne and rosacea to psoriasis and eczema. Willow bark can have a cooling effect on these conditions, helping to calm angry skin. If you've struggled with acne in particular, you've probably heard of salicylic acid before, as it's a common ingredient in many topical acne products. But these products typically use the synthetic form of salicylic acid. Salicylic acid from willow bark is gentler and less likely to cause irritation. Willow bark's natural salicylic acid helps exfoliate gently without harming the skin. Its exfoliating properties also make it ideal for reducing fine lines and wrinkles. In addition to salicylic acid, willow bark contains hydroxyl acids that gently remove old, dead skin cells and let the new, young ones shine through, making skin appear smoother and softer. Finally, willow bark has both antioxidant and antimicrobial properties. These antioxidants protect the skin both from free radicals and acne-causing bacteria. With all of these great properties, I knew I had to include willow bark in the Système 41 line of products. It was a natural fit for the Night Treatment, where it can help soothe and repair your skin as you sleep. And it's just one of many powerful ingredients in this product that work together to give you natural, lasting results and keep your skin looking as clear, youthful, and healthy as possible.